kitchen in the living room. Nice location and wonderful views from the balcony. The apartment has everything for a great stay. Mooie locatie en schitterend uitzicht vanaf het balkon. 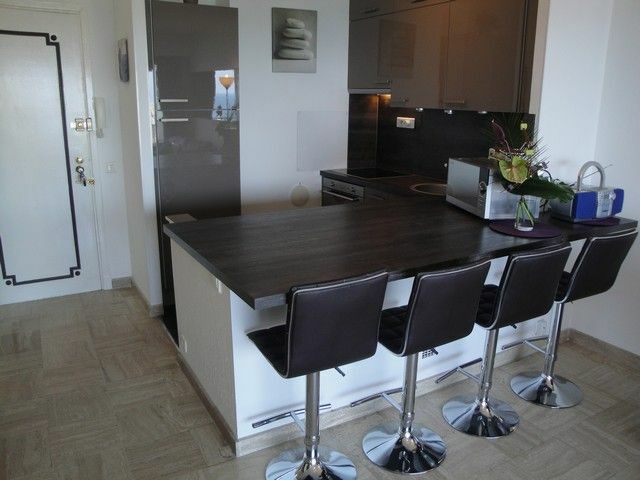 Het appartement heeft alles voor een geweldig verblijf. 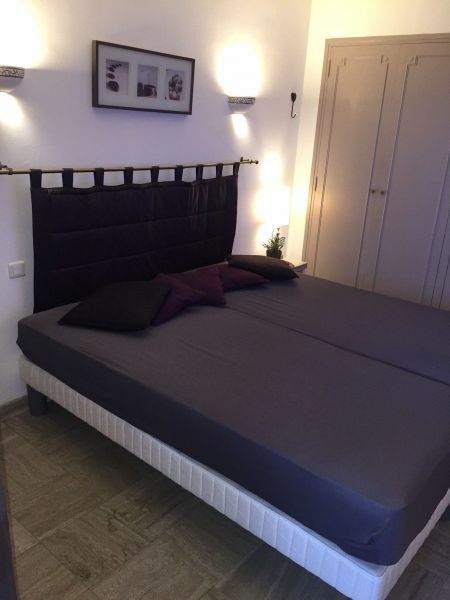 Your apartment is very nice, modernity enhanced by decorative touches in harmony hit us. 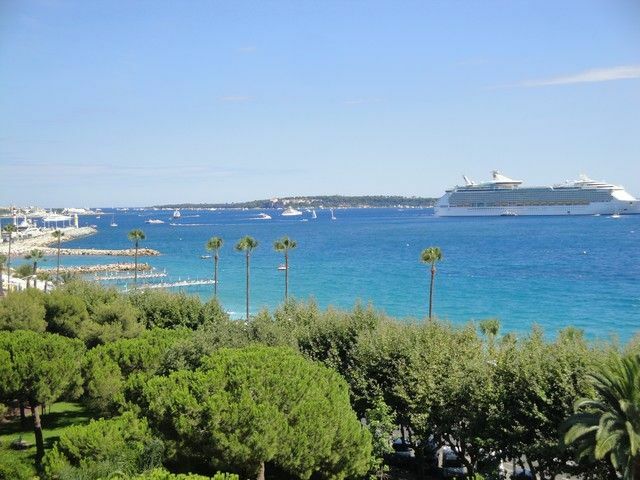 As for the view of the bay of Cannes, WOW! Day and night. 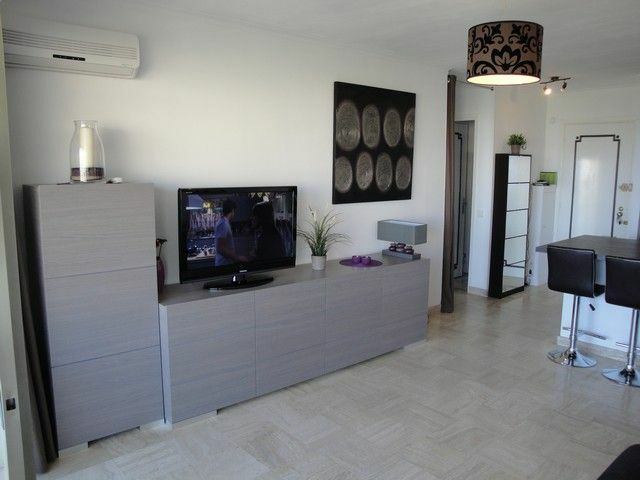 Votre appartement est très agréable, sa modernité mise en valeur par des touches de décoration en harmonie nous a séduits. Quand à la vue sur la baie de Cannes, quelle merveille! De jour comme de nuit. Well furnished apartment, decorated with high honors for the book of Job instructions. Good stay. 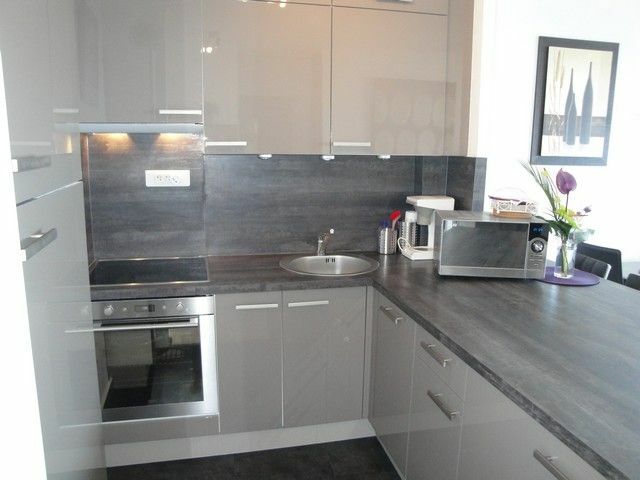 Appartement bien aménagé, bien décoré, avec mention TB pour le livre des consignes d'emploi. Très bon séjour. 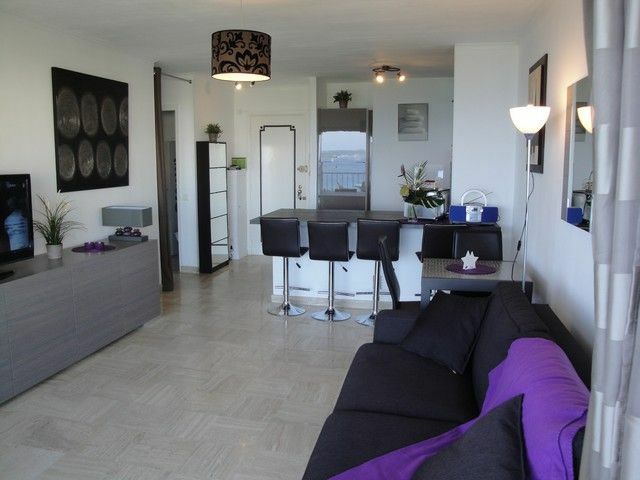 The appartement is located on a top location with a great view according the pictures in the advertisement. 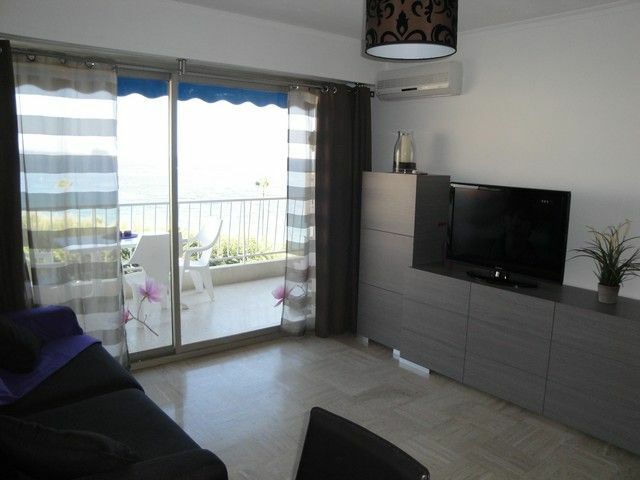 It is very well equipped and we spend hours on the balcony enjoying the Mediterranean. 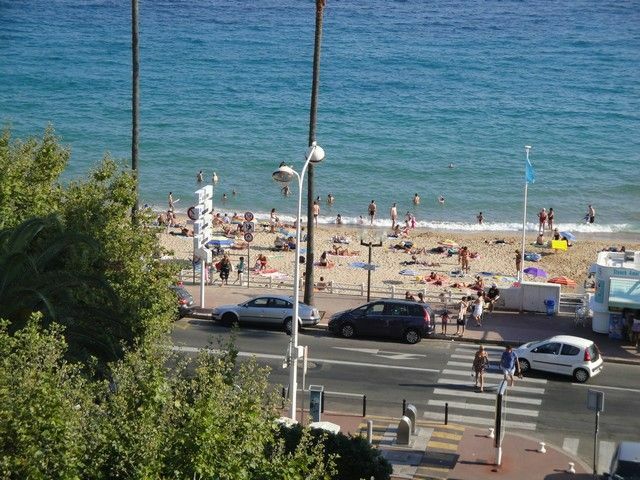 The centre of Cannes and the Croisette is in walking distance and there is a bakery around the corner. 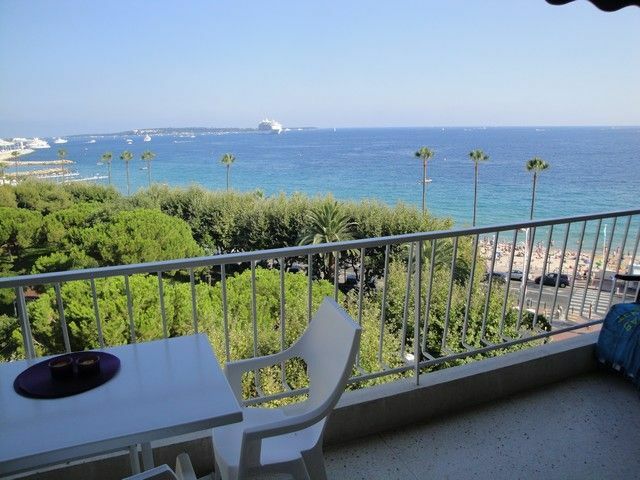 Communication, contract and handling is well-organized by thge owner and of course it is very convenient to have your own parking space in a town like Cannes. We will return! 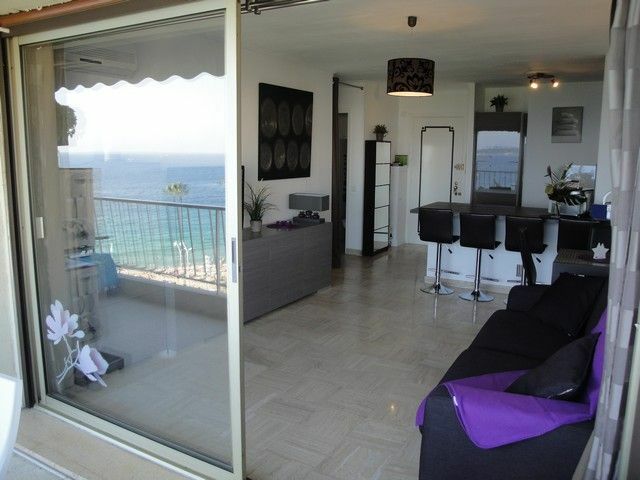 Very nice location quite consistent with the description and a superb view of the sea received by the custodian of the building, warm person and very helpful.